Should Indie Writers Choose Print or Digital? A lot of struggling writers are still hoping to break into print. They see self-publishing as a humble temporary stop on a journey towards grander things. Their ebooks are merely practice runs as they whip themselves into shape for their real careers as print authors. It is easy to see why they might have this attitude. The old publishing paradigm has been around for centuries, an awful lot has been written about it, and it is still surrounded by a powerful aura of tradition, respectability, and substance. Even the least literate know a little something about the lives of a famous print author or two. Many such authors are positively draped in glory, with reputations that span the globe. Some of them have even become very wealthy. What up-and-coming author would not want to join them? Then there are the physical aspects of printed books. Most would-be writers grew up with glossy hardcover dust jackets or the bright covers of mass-market paperbacks. Printed books are not virtual, they are real. You can heft them, thumb them, even smell them. Most people who enjoy reading come to love the feel of a book in their hands, the quiet rustle of turning pages, the bold look of black print on pale paper. Who wants to publish a virtually invisible ebook when they could see their work enshrined in a magnificent hardback or, at the very least, a colourful paperback. But what if all this is about to end? What if the traditional writing portal is closing? There has always been a flaw in the old publishing paradigm. Within its great citadel, there is room only for a few. In the days when fluent literacy was uncommon, this was a minor problem. There were not many people out there capable of writing a book. The fit between writers and publishers was quite good. However, as literacy rates rose the situation deteriorated. With a surplus of talent, it became increasingly difficult for writers to be published. For some time now, the advent of powerful desktop computers and easy-to-use word processors has meant far too many writers pursuing far too few publishing opportunities. Yet, so long as publishing houses held a monopoly on book distribution, the situation had no remedy. Inexpensive handheld ereaders changed everything. Sales of printed books are plummeting. Then along came the ebook. Suddenly, all those frustrated authors could bypass traditional print publishers and put their books out in digital form. They would certainly have preferred the more reputable and glamorous traditional route, but at least they now had a way to reach the public. At first, the print publishers were not seriously impacted; after all, ebooks were PDFs or clumsy text files and could be read only on laptop or desktop computers. Handheld readers liberated ebooks from the computer, but their initial high cost slowed their spread, thereby leaving the print publishers in charge. Fortunately, technology marches on. Handheld ebook readers are now affordable by virtually everyone. Ebooks have become popular. 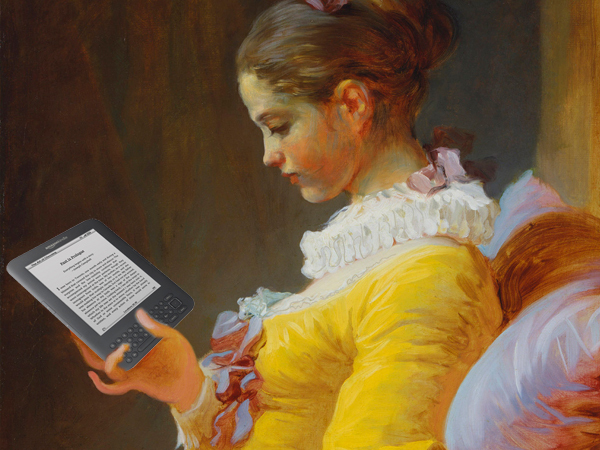 Like it or not, print publishers have had to join the digital book revolution. But they are wounded. The marketplace is flooded with tens-of-thousands of public domain titles free for the downloading from sites such as ManyBooks or Project Gutenberg. These books, along with the rise of mass self-publishing on Amazon, Smashwords, and similar sites have ended the lock on distribution the print companies formerly enjoyed. In recent years, legions of desperate authors have gone the self-publishing route seriously affecting printed book sales. So we circle back to those writers who still dream of breaking into print. We have to ask: given today’s rapidly changing situation are they being realistic? Or are they pining for a doomed golden age? Considering the steep decline in paper book sales and the closure of so many brick and mortar bookstores, breaking into print may be like abandoning the lifeboat to board the Titanic. As a journalist, I am experiencing a similar situation, both in the huge number of literate, well-qualified people trying to break into the industry, and the move towards electronic media that is reducing the power of traditional media outlets. I currently write for a online publication, and recently started getting work with a couple of monthly print publications. My goal has always been to get a journalism cadetship at a print newspaper, but the opportunities are limited, and considering the number of newspapers going under every year, I think your analogy of leaving the lifeboat to board the titanic could well apply to newspapers as well? Print newspapers are obviously in trouble, but some innovative thinking is starting to show up here in Canada. The Sun News national chain of papers has launched a 24-hour cable-TV news channel. They do regular “Sun News Roundups” where they show the front page of every newspaper in the chain and give a run down on the top stories in each one. Talk show hosts do promotional spots as well, thereby linking the papers to the various well-known TV personalities. Whether this print-TV integration will save the day remains to be seen, but at the moment the papers are still doing well. That’s an interesting angle on the issue. I’ve seen news stations do that sort of thing in the UK too, certainly helps to give the papers more prominence. Not sure if it’ll be enough though, given that entire generations are growing up reading their news for free online. There might be some hope with paywall news sites that offer a mix of free and paid-for content.